The view of the stadium structure as you enter Friedman Diamond. 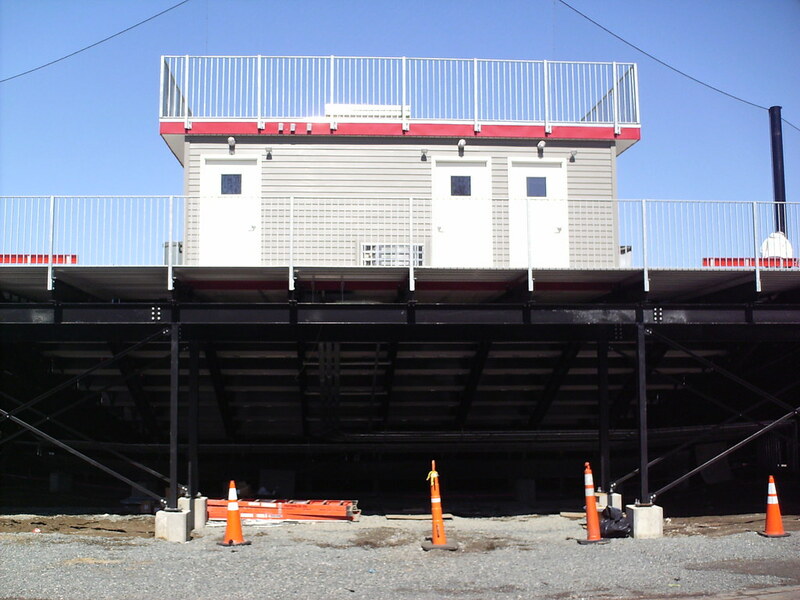 The new grandstand was built in time for the 2015 season, replacing the removable aluminum bleachers that had previously been on the site. 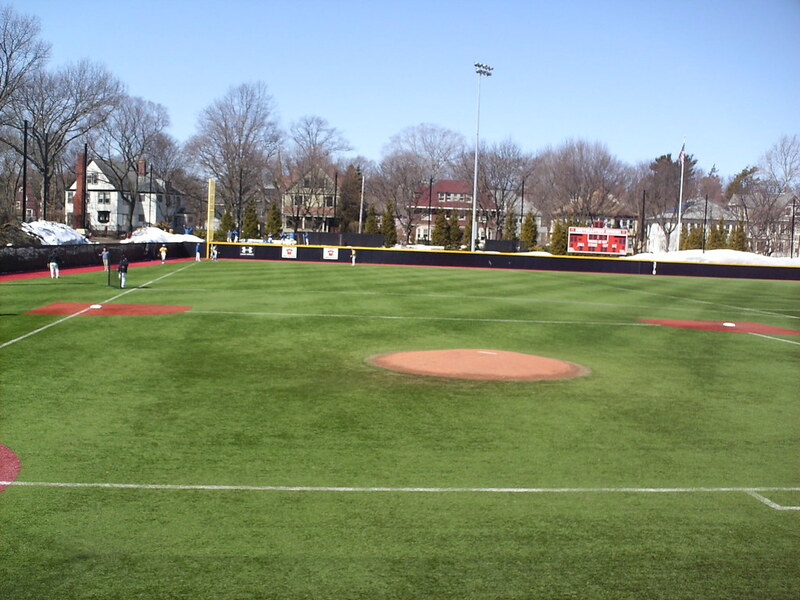 The view from behind home plate at Friedman Diamond. 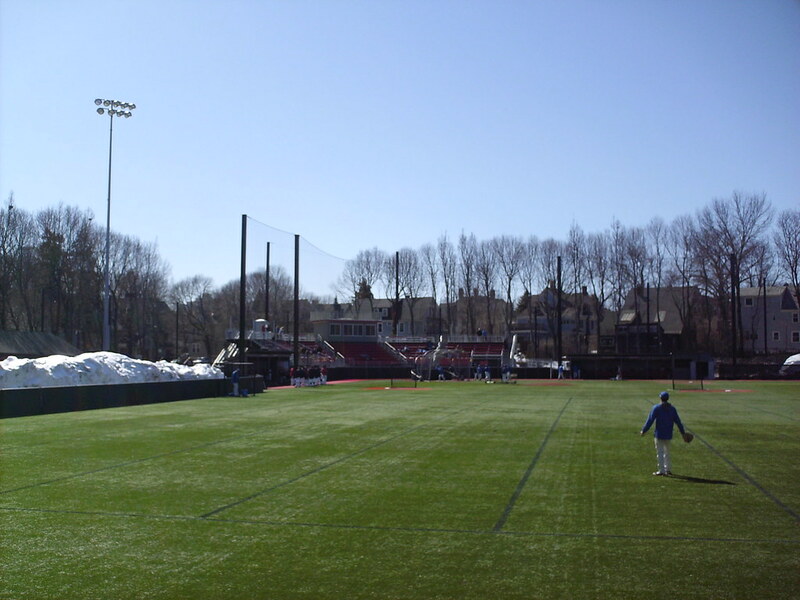 The grandstand at Friedman Diamond, as seen from right field. 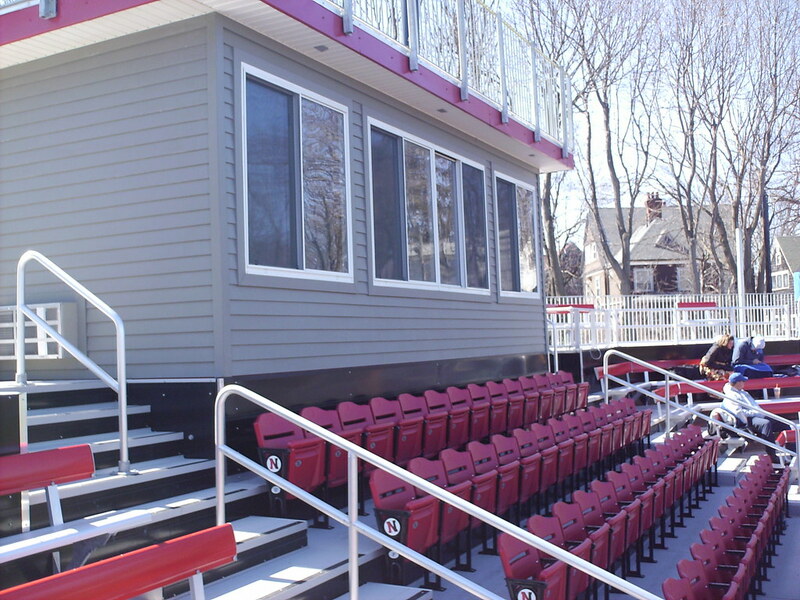 The pressbox atop the grandstand. 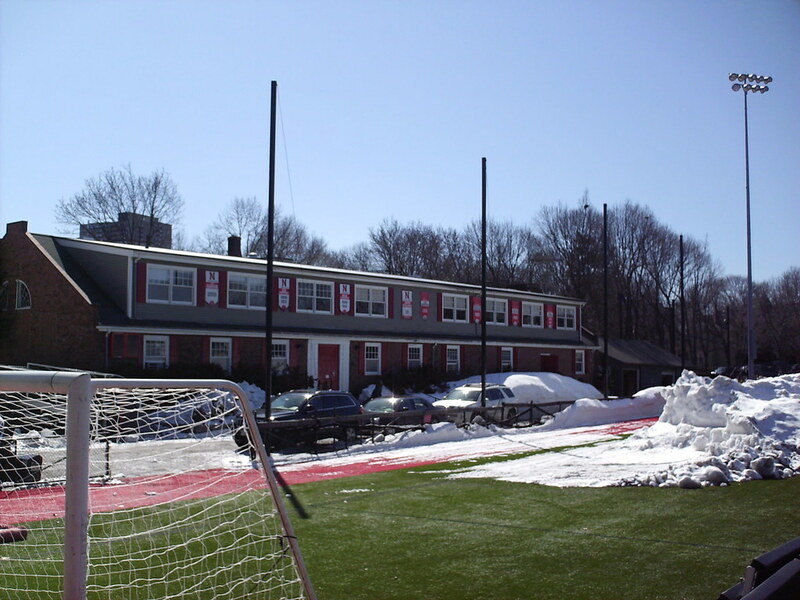 Parsons Field is nestled into the middle of a residential neighborhood, and houses surround the playing field. 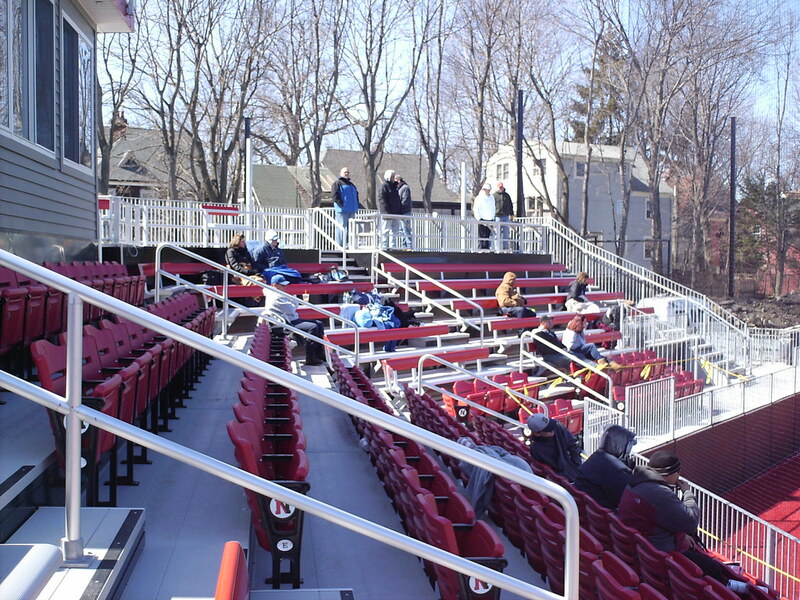 The seating bowl consists of fold-down chairs in the section behind home plate and in the first three rows, with bleachers in the other sections and drink rails along the top of the grandstand. 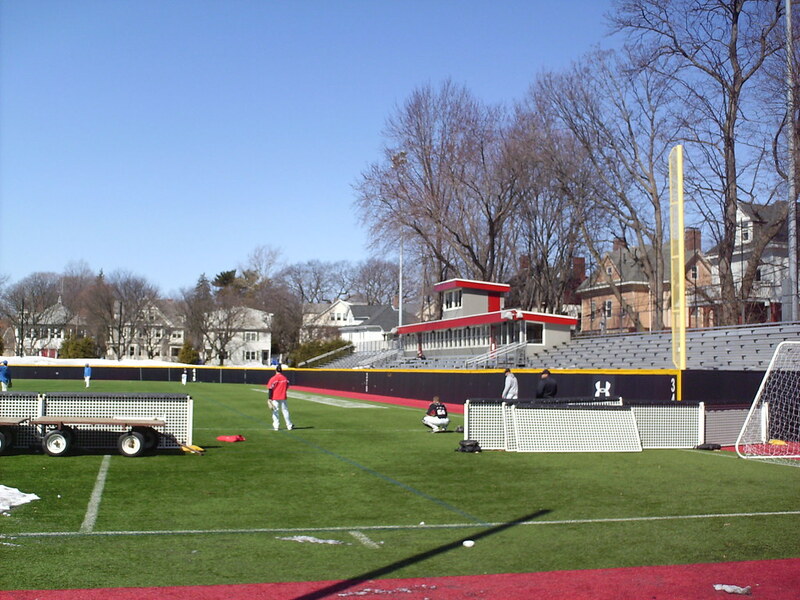 Parsons Field was used for Northeastern University football until the school disbanded that team in 2009, and is still used for soccer and lacrosse. 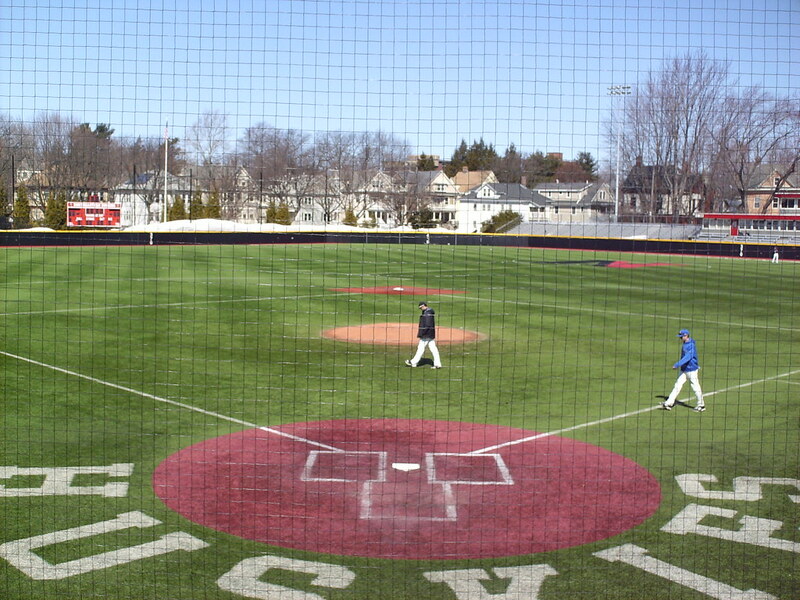 The playing surface is entirely artificial turf except for the dirt pitchers mound, and the outfield has markings for the other sports. 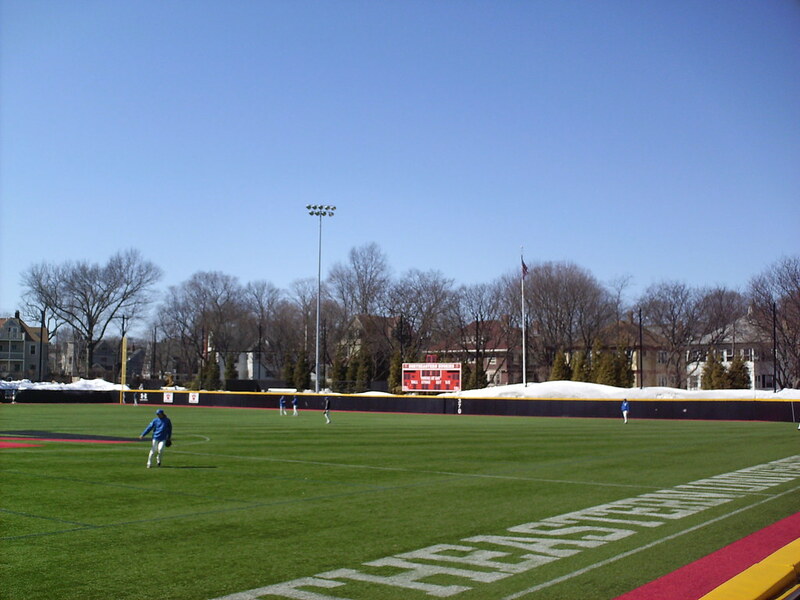 The football stands and pressbox run along the outfield wall in right field, and are open to fans for NU baseball games. 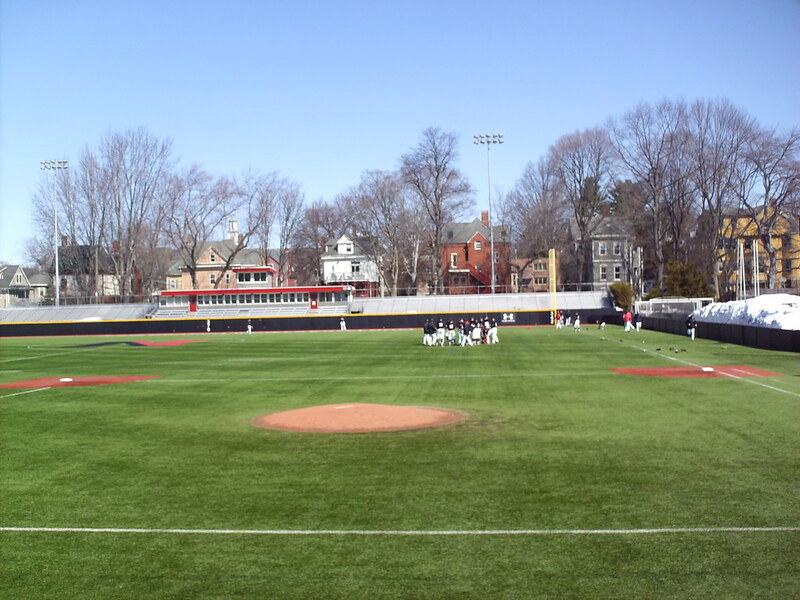 The Northeastern clubhouse building sits behind the field along the first base line. 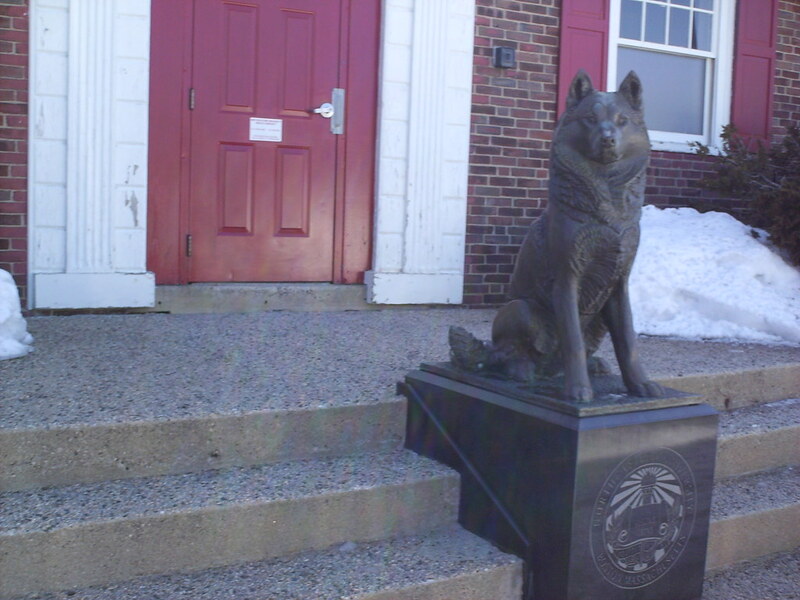 A statue of a Husky stands on the steps of the clubhouse. Batting cages run behind the grandstand on the third base side. 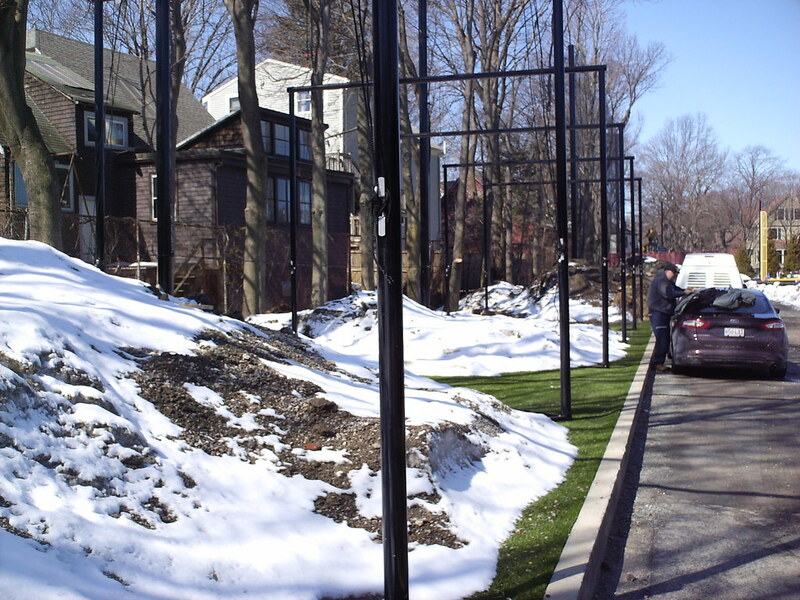 Though with baseball in New England in March, they also see use as snow depositories. 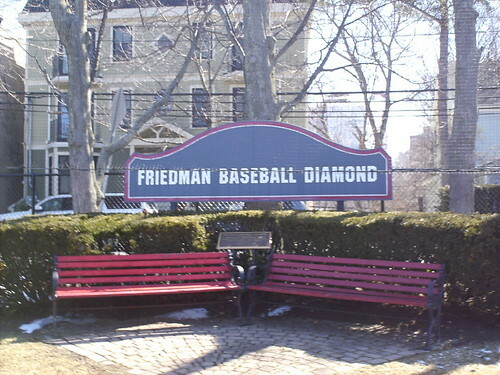 The outfield wall at Friedman Diamond. 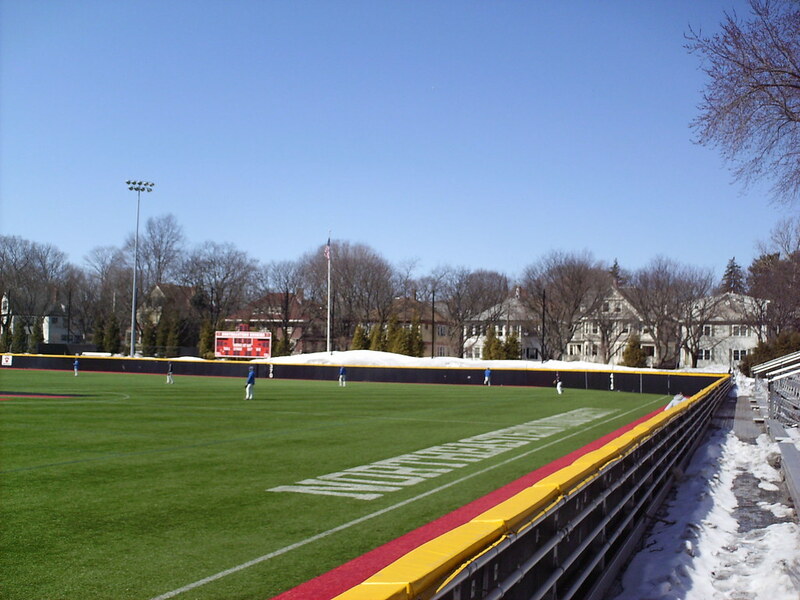 The fence flattens out in center field, resulting in a pair of sharp corners. The scoreboard at Parsons Field. 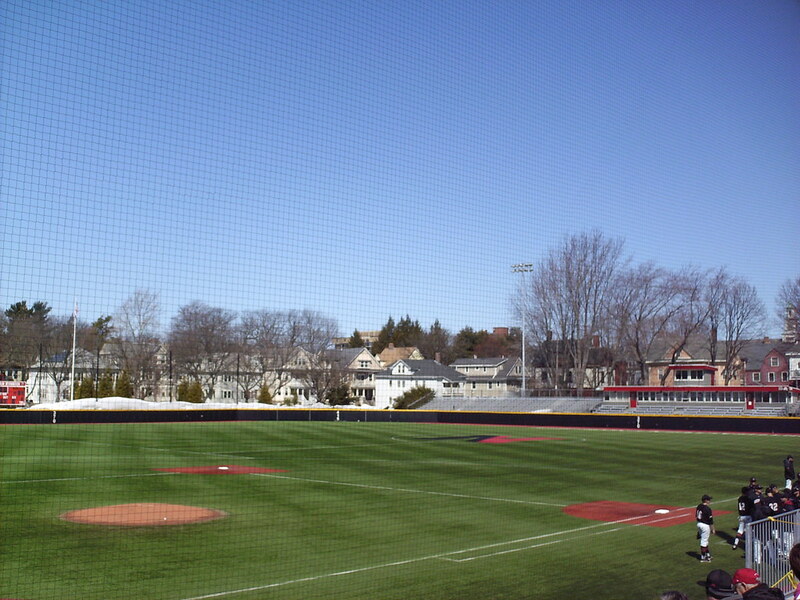 The facility does not have a traditional line scoreboard, but instead the baseball team uses the same multi-purpose scoreboard as the other sports. 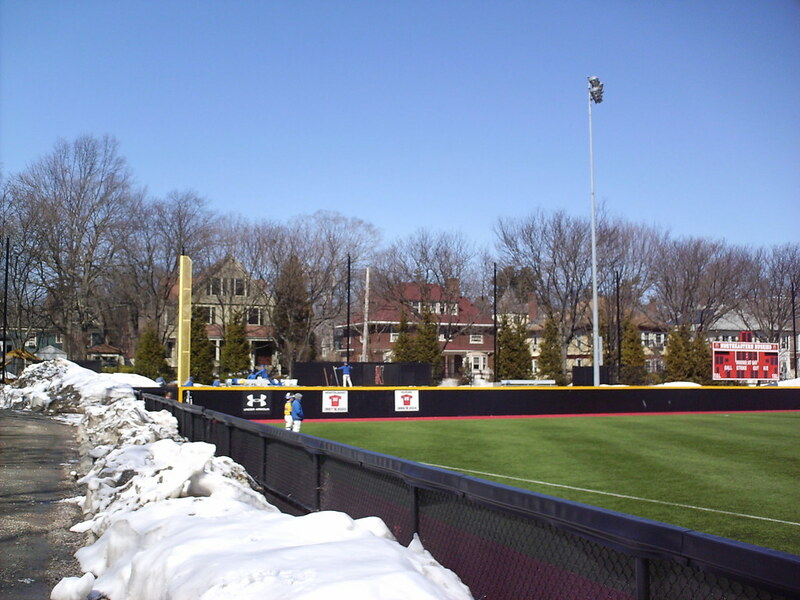 Both teams bullpens sit above the fence in left field, with retired numbers on the fence below. 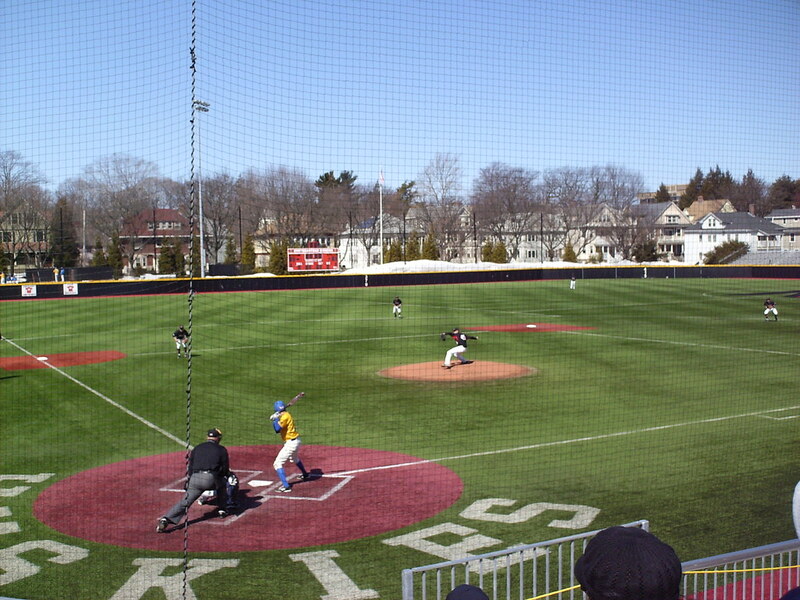 The Northeastern Huskies on the field during an NCAA game at Friedman Diamond.